Ben Affleck Is Opening Up, Releases Statement After Completing 40 Days Inside Rehab Facility - T.V.S.T. We have heard from Ben Affleck’s friends and family in the weeks following his intervention for alcohol abuse, but we have not heard anything from the man himself. That changed this week. 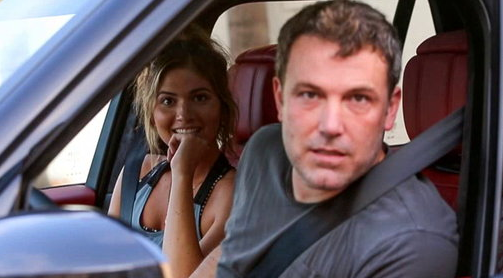 As most of you know, Affleck entered rehab over a month ago after his ex-wife Jennifer Garner staged an intervention. The 46-year-old actor was in a bad place after his breakup with Lindsay Shookus and started to drink heavily again. Hopefully this is the beginning of a new journey for Affleck. I think this stay in rehab was a little different for him than the others. You get the sense that this one really opened his eyes. I mean, his ex-wife had to stage an intervention for him, and then drive him to a rehab facility, but not before stopping at Jack in the Box to get him something to eat. If that’s not rock bottom, then I don’t know what is.